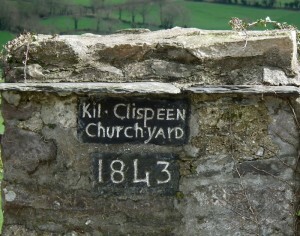 Location: Ahenny, County Tipperary, near the Kilkenny border. From Carrick-on-Suir take the R-697 North, approximately six kilometers. April 2016: I visited some Megalithic & Irish High Cross sites while visiting the area of Carrig an Suir. No matter how well I might study others, photographs and details on these stone marvels, every time I view them in person, I’m blown away. 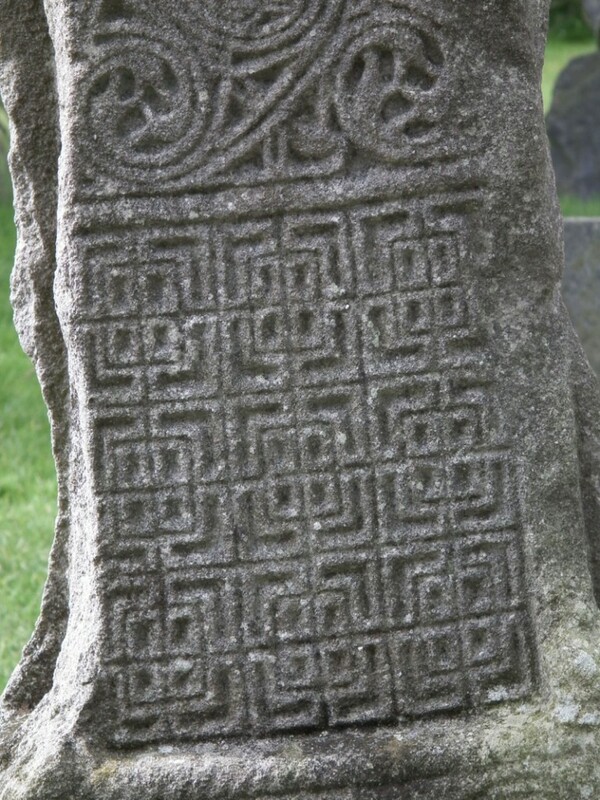 The intricate Celtic knotwork, geometic designs, graphics created in stone. Designs that are familiar from the Book of Kells and other illustrated manuscripts but carved into & out of Sandstone. 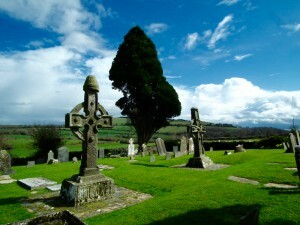 Both crosses at Ahenny are fashioned from Sandstone and best viewed around mid-day during the summer, when the high relief of the sculpture is shown at its best. The south cross, east face, stands at 3.90 metres high. 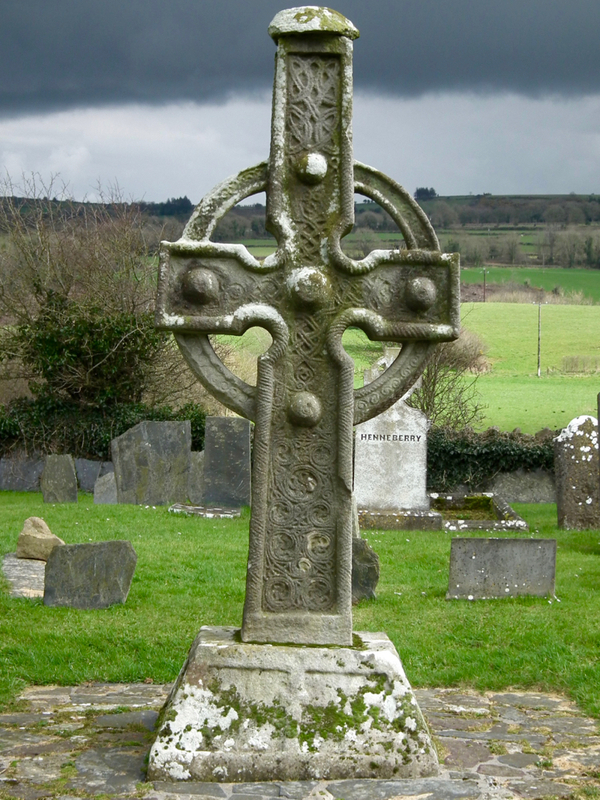 The north cross east face stands at 3.13 metres high, and has a mitre shaped cap-stone typical of other crosses in the ‘Ossory Group’. 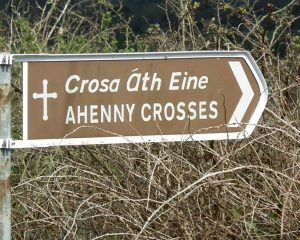 Most likely the earliest, group of ringed high crosses, dating from the 8th to 9th century, the ‘Ossory Group’ includes two high crosses, the North and South Cross at Ahenny in County Tipperary. 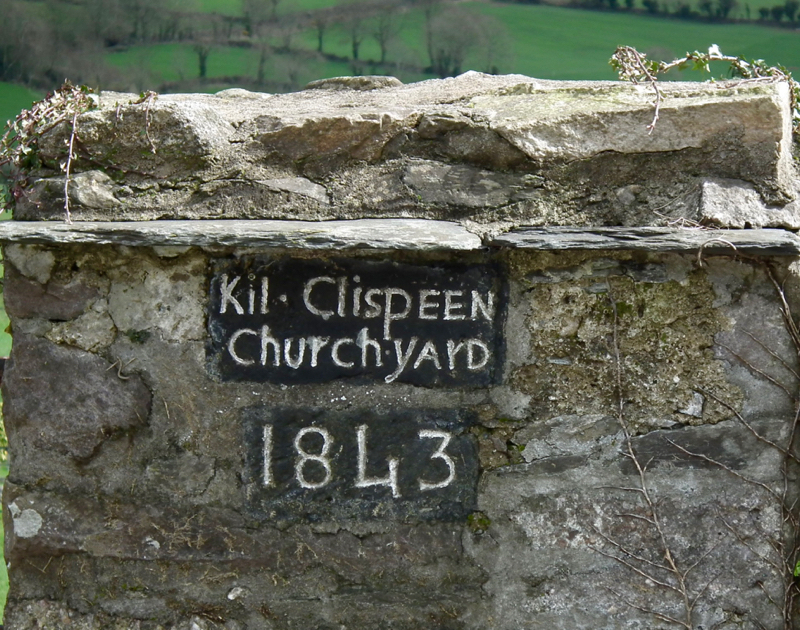 Found at the monastic site of Kil.Clispeen these two crosses mimic the earlier wooden crosses which were encased with a metal binding. The stone bosses imitate the studs that would have covered the rivets holding the metalwork and wooden cross together. 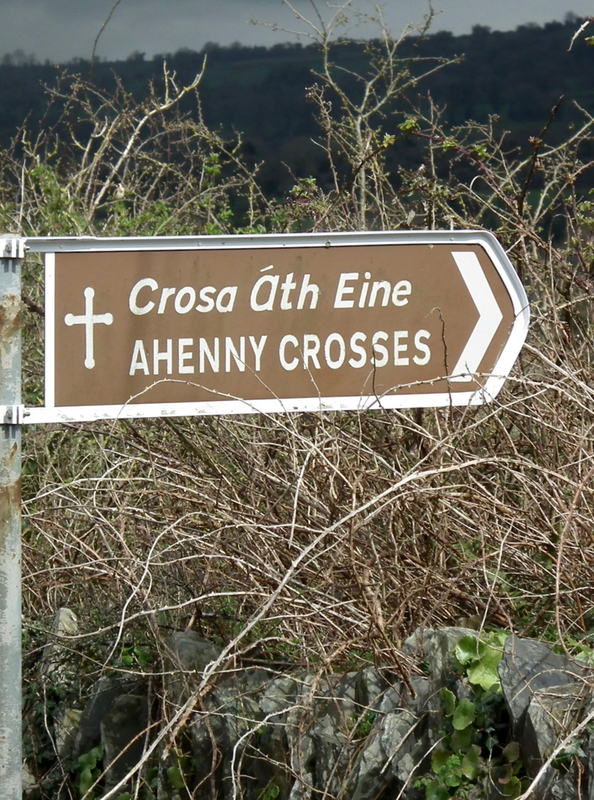 View of the North Cross at Ahenny. On the north side is a procession with chariot. On the east side is Adam naming the animals. (Above) On the west side is the Mission of the Apostles and Seven Bishops. 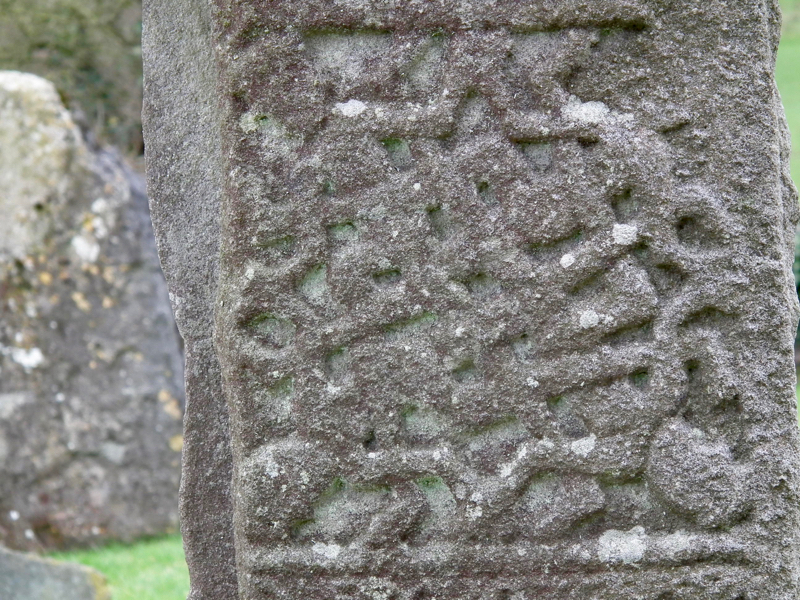 Moving down the upright of the cross we find a zoomorphic design. Moving out from the centre there are four tightly woven coils. At each corner of the panel a spiral design that terminates at the centre in three birds’ heads. 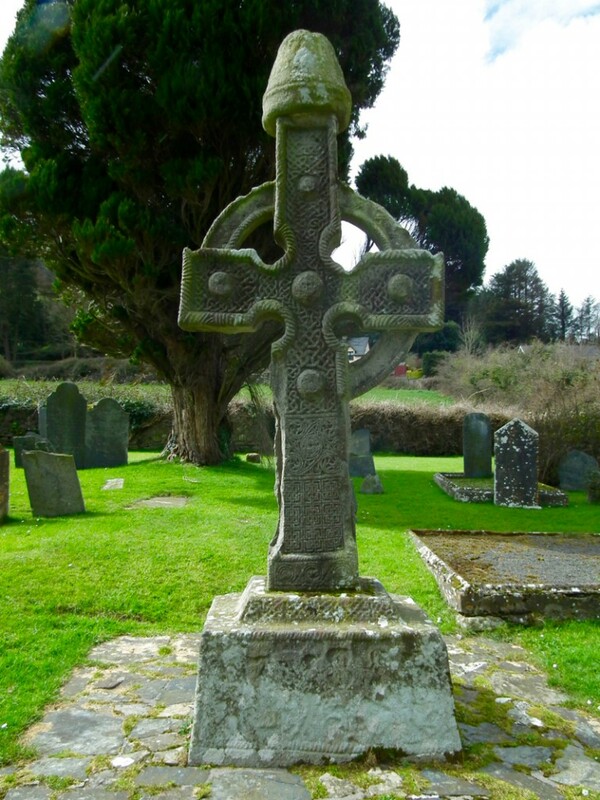 At the bottom of the staff of the cross are two panels. The upper of the two is composed of a pattern of squares-in-squares. The panel itself is square and there are nine large and many smaller ones within. L-shaped corners surround the nine large squares. 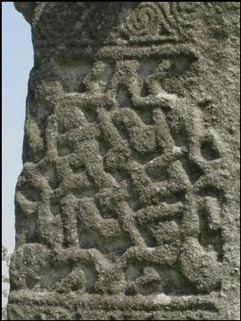 Moving down the cross we have an example of human interlace on the west face. 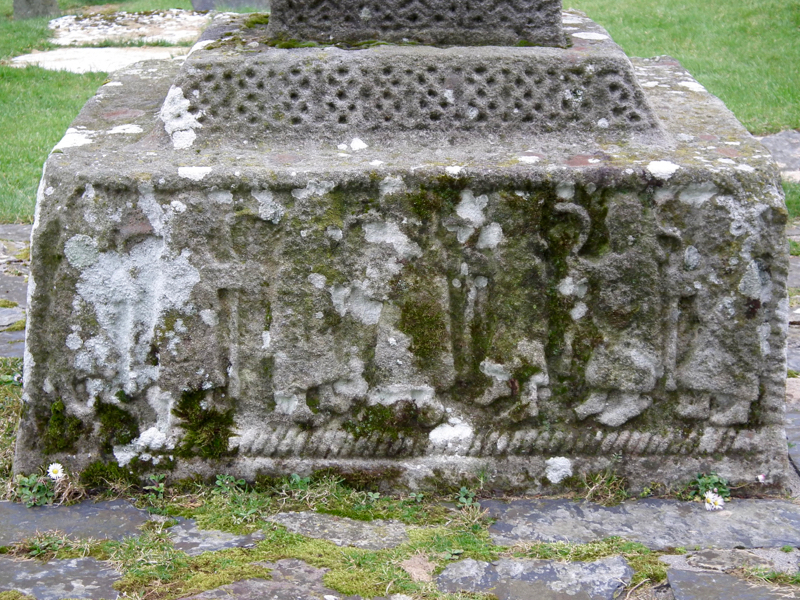 Here are four human figures, a head in each corner of the panel. The arms and legs are interlaced in a completely unnatural way. A well known design regularly found on eight & ninth century metal work and stone carving. Barney McLaughlin suggests the human interlace may represent the interconnectedness of human community, or perhaps the tangle of human sin for which the cross is God’s response? 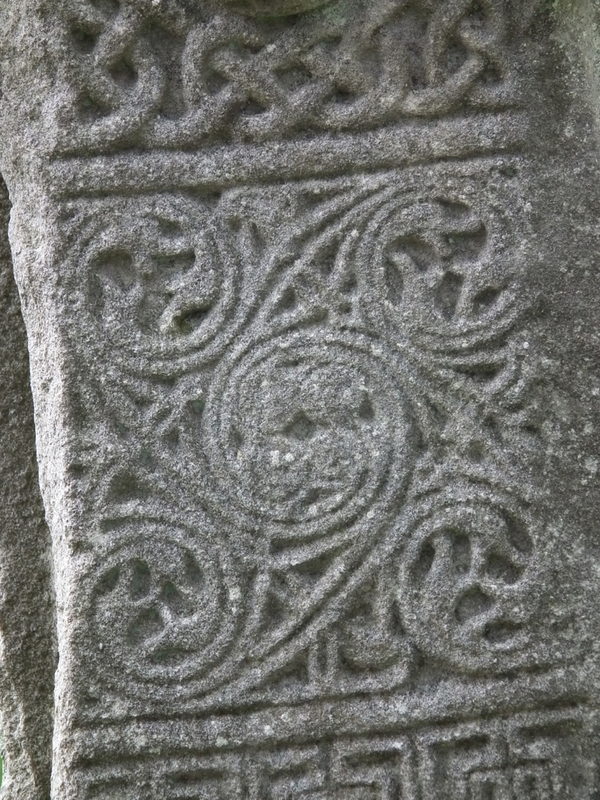 Early Medieval/ Pre Viking/ Celtic, Graphic stonework. Religious and historical images reproduced in simple symbolic forms. At this time there were minimal iconography or figurative art used in Irish creativity. I admit I have a preference for the earlier crosses with their abstract designs to the later representative monuments.